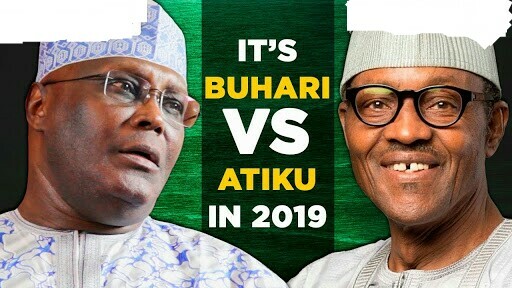 Although over 20 political parties have produced their presidential candidates in the race to the 2019 general elections, observers believe the presidential election will be mainly a battle between President Muhammadu Buhari of the APC and former Vice President Atiku Abubakar of the PDP. In the meantime, as the North leads with the number of registered voters, political analysts say this is where Buhari and Atiku – who are both Muslims, Fulani and septuagenarians – will have their hottest battle for votes. What are their strategies to win the big votes? When former Vice President Atiku Abubakar defected to the PDP in December 2017, after a four-year sojourn at the ruling APC there were insinuations he was not going back to the PDP just to be a member, but to make another attempt at fulfilling his presidential ambition. The former Vice President had in previous times sought this position: first, in 1992 when he contested the presidential primary of the Social Democratic Party but lost out to late Chief MKO Abiola. He sought the presidency again in the 2007 general elections on the platform of the Action Congress, but came third behind the PDP’s candidate, late Umaru Yar’Adua, who won the election, and the All Nigeria Peoples Party’s candidate, Muhammadu Buhari, who came second. In 2011, Atiku contested the PDP presidential primary ticket but lost out to former President Goodluck Jonathan, who was Yar’Adua’s ex-Vice President. Not giving up on his ambition, in 2013, he defected to the newly-formed APC, but lost in the party’s presidential primary to Buhari, who eventually won the presidential election in 2015. Following this defeat and being allegedly shut out of the Buhari administration, Atiku stayed two more years at the APC before leaving in December 2017. Expectedly, he declared another presidential bid on the PDP platform in July 2018, promising to rebuild the economy and tackle insecurity effectively, two areas in which he claimed the Buhari administration had failed the people woefully. Fortunately for him, the former VP emerged the PDP presidential candidate last Sunday in what political pundits have described as the most competitive presidential primary of any party in the race to the 2019 general elections. Atiku, who garnered 1,532 of the 3,274 votes from party delegates, defeated 11 other aspirants, including Governor Aminu Tambuwal of Sokoto State; Senate President Bukola Saraki; and a former Kano State governor, Senator Rabiu Kwankwaso. “We have a wonderful opportunity to return the PDP to power,” Atiku said in his acceptance speech at the Adokiye Amesiamaka Stadium, Port Harcourt, the Rivers State capital. Speaking of the “clueless government,” the ex-VP apparently referred to the administration of Buhari, his likely major contender in next year’s presidential election. Buhari had also emerged the APC’s 2019 presidential candidate after polling 14.8 million votes in the party’s direct presidential primary across the 36 states and the Federal Capital Territory. Other presidential candidates the Independent National Electoral Commission has cleared include Donald Duke of the Social Democratic Party; Olusegun Mimiko of the Zenith Labour Party; Obi Ezekwesili of the Allied Congress Party of Nigeria; Kingsley Moghalu of the Young Progressives Party; Fela Durotoye of the Alliance for New Nigeria; and Omoyele Sowore of the African Action Congress. However, despite the emergence of new and young candidates, political analysts postulate that next year’s presidential election will mainly be between Atiku, 71, and Buhari, 75, of the PDP and the APC respectively. “We hope to see the emergence of people like Ezekwesili, Moghalu and Durotoye in the future. They are young and seem innovative, but I believe the 2019 presidential election will still be between Atiku and Buhari,” a Lagos-based lawyer and political commentator, Mrs Seyi Lawal, said. She explained, “More people, especially the youths, are getting more politically conscious and are demanding employment, safe business climate, stable electricity, among others. They are taking a cue from their counterparts in North America, Europe, Asia and even the Middle East. “They are seeing how government is run in places like Dubai, Singapore, Canada, France, and so on. They won’t tolerate the present crop of political class who have kept them in perpetual mediocrity for too long again. He opined that it might be an easy victory for the PDP in states in the South-East, South-South and the Middle Belt, while the PDP and the APC would slug it out in the North-East and North-West, as well as the South-West. Citing reasons for his assertion, the political scientist said, “Let me start with the South-West. Even though the zone is run by the APC, the votes are going to be divided between the PDP and APC. Case studies are the recent Osun State and Ekiti State elections. “The South-South, with six states, and the South-East, with five states, have always voted for the PDP at the presidential level since 1999. I don’t know how that’s going to change in 2019, especially due to several factors. “The South-Southern and South-Eastern people won’t quickly forget Buhari’s 95-5 leadership mindset, wherein the President suggested those who gave him just five per cent of votes at the 2015 elections shouldn’t expect more from him, unlike those who gave him 95 per cent of votes. He added, “Even though Nasarawa State is led by the APC, the PDP still won at the presidential level in 2015, so this may still happen in 2019; same thing in Plateau State. Benue State is now a PDP-controlled state, and with the herdsmen killings, the APC should be afraid. Bello noted the main battleground for Atiku and Buhari would be in the North-East and North-West, where both hail from respectively. He further analysed, “Buhari is from Katsina State in the North-West, where we also have Jigawa, Kaduna, Kano, Kebbi, Sokoto and Zamfara states. “This geopolitical zone provided the President with 46 per cent of his entire 15 million votes in 2015, but with Atiku having the support of former co-aspirants who are political heavyweights in their respective states, he will eat into Buhari’s votes significantly. “Remember we have Tambuwal and Attahiru Bafarawa in Sokoto State; Kwankwaso in Kano State; Ahmed Makarfi and Datti Ahmed in Kaduna State; Taminu Turaki in Kebbi State; and Sule Lamido in Jigawa State. Hence, it’s not going to be an easy ride for Buhari in 2019, unlike in 2015. In his piece, 2019: Atiku vs. Buhari, a former Special Adviser on Media and Publicity to ex-President Jonathan, Mr Reuben Abati, stated that Atiku, just like Buhari, had a strong political machinery in the North. He wrote, “Atiku came into the limelight through the late Shehu Yar’Adua political machinery: the People’s Front of Nigeria, which later became the People’s Democratic Movement. “Yar’Adua, who was murdered in prison by the late General Sani Abacha government, used that platform to build bridges across Nigeria. Former President Olusegun Obasanjo was Yar’Adua’s friend, (and) they were both Abacha’s prisoners, and he would later prove his loyalty to the man who previously served him as Chief of Staff, by anointing his junior brother, Umaru Yar’Adua as Nigeria’s President in 2007. He added, “Politically, even members of the ruling All Progressives Congress see Atiku Abubakar as one of their own. There is no major player in this country who has not had the opportunity of interacting with Atiku at one level or the other. To every other constituency, Atiku is saying Nigeria must be restructured. He poses a real threat to President Buhari’s second term ambition. “Senator Kwankwaso, now the main PDP politician in Kano State, will divide the votes in Kano in Atiku’s favour. The South-East and the South-South may not vote for Buhari. In the South-West, Asiwaju Bola Tinubu, the godfather of Lagos State politics, has every reason to give Buhari ‘an Ambode treatment'." An Abuja-based lawyer and political commentator, Mr Aliu Mustapha, also noted that with the North having the highest number of registered voters in the country (39,021,964, according to INEC as of January 2018, as against 34,020,986 in the South), the zone remained the hottest battleground for both Atiku and Buhari. He said, “The North has always shown better disposition when it comes to voting and I don’t expect this to change in 2019. Many southerners travel abroad or monitor elections on the TV or social media. The cleric stated this during his Independence Anniversary State of the Nation address titled, The Road to 2019: Quo Vadis, Nigeria? Stating that he wasn’t campaigning for Atiku, Bakare said, “I wish President Muhammadu Buhari the best in 2019. He has the power of incumbency and he will do his best to win the election, but Atiku is not going to take ‘no’ for an answer when the two forces collide in the election.